Reusable and portable Unicorn Balloon Ball. Throw it, catch it, squeeze it and bounce it. 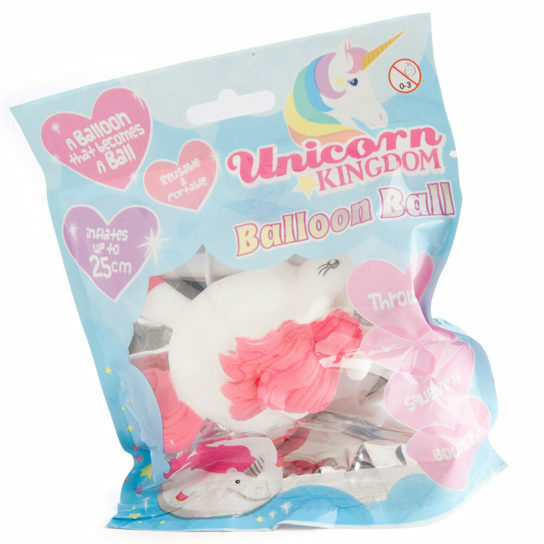 Inflate your very own fun Unicorn Balloon Ball! What is a unicorn balloon ball? It is a shaped balloon that blows up to become a bouncing ball.